I wrote this story for the Dallas Morning News. It was published on Oct. 24, 2004. At the tender age of 8, Lázaro Castro gave a fiery political speech to hundreds of thousands of people, then unexpectedly leapt off the stage and kissed Fidel Castro on the cheek. More than four years and dozens of speeches later, the precocious youngster is a celebrity of sorts, a poster child for the Cuban revolution. He’s one of the most famous of Cuba’s pioneros, or pioneers, young Cubans who get their political and patriotic baptism each Oct. 9, the anniversary of the death of guerrilla Ernesto “Che” Guevara. Pioneers are taught to worship Mr. Guevara, killed in 1967 by Bolivian soldiers trained by Green Beret and CIA operatives. The late Argentine rebel is an icon in the Third World and the subject of The Motorcycle Diaries, a movie released in September about his 1950s adventures in South America. 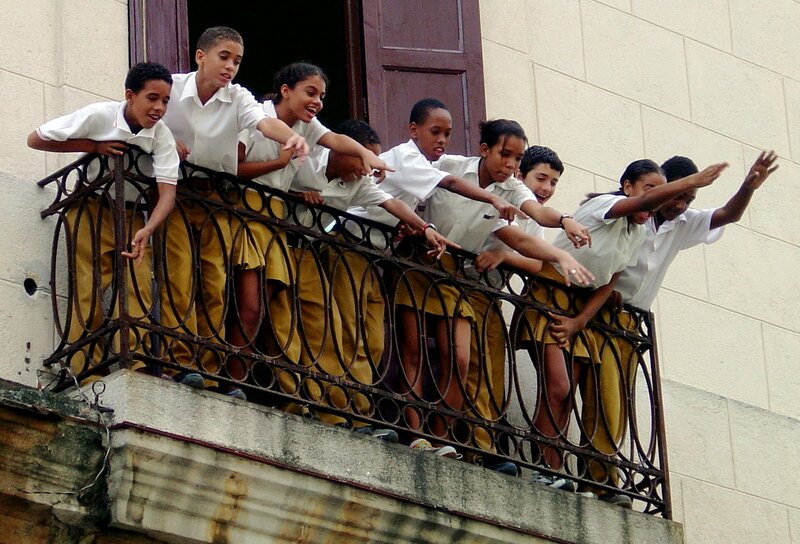 Lázaro Castro, now 13, adores Che – and Fidel Castro. As a preschooler, he started learning about their revolutionary exploits. He took their messages to heart, memorizing their speeches. And today he regularly travels around the country and abroad spreading the word to millions of people and issuing stinging criticisms of President Bush and the U.S. sanctions against Cuba. 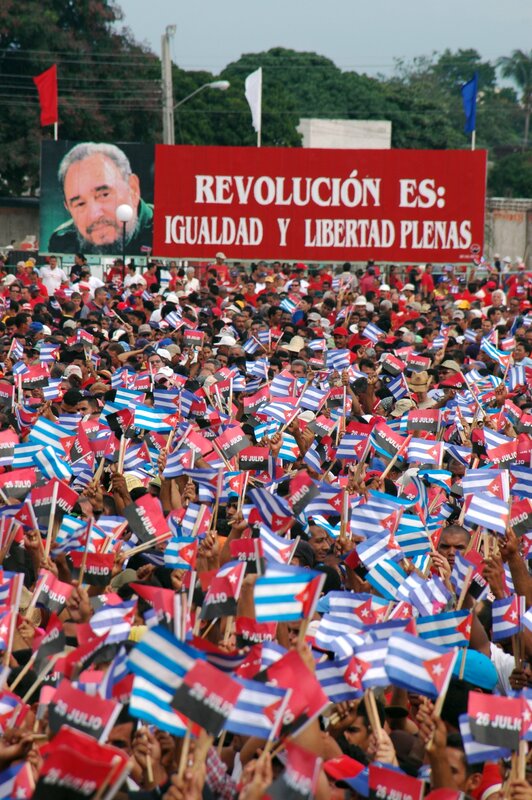 But not all people are comfortable seeing Cuban pioneers so immersed in politics. Castro loyalists counter that the pioneers’ political work underscores just how much the government cares about children. The debate over Cuban children and politics erupted during the custody battle over Elián González, a grade-schooler found clinging to a raft off Florida’s coast on Thanksgiving Day in 1999. His mother and 11 others hoping to reach the United States died in the voyage. 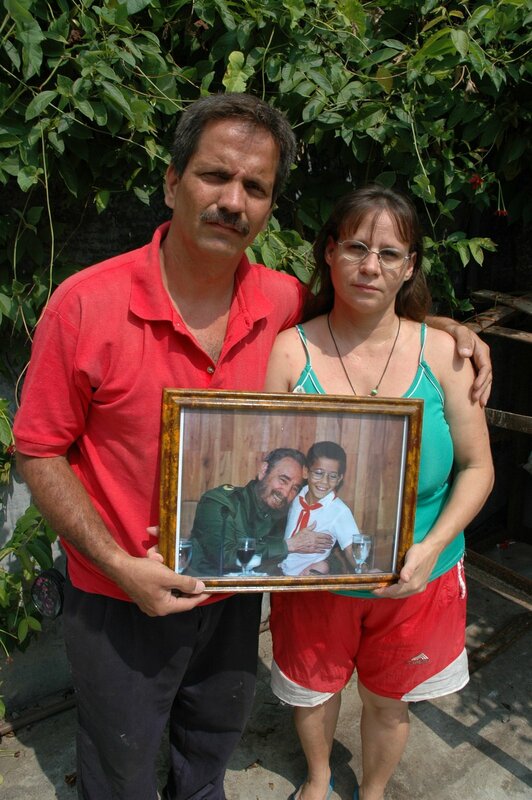 In June 2000, a U.S. judge ordered that Elián be returned to his father in Cuba. The pioneer’s Miami relatives had fought against that, saying they feared Elián would be brainwashed in Cuba. In July, President Bush put his own spin on the treatment of children in Cuba when he accused the socialist government of promoting child prostitution. Mr. Castro and his supporters reacted sharply, saying they were deeply offended. Similar views abound in Guanabacoa, the small town where Lázaro grew up. The walls of his home and the fence that surround it are covered with words and numbers. It’s a giant chalkboard where Lázaro learned to read and write. The letters are large because Lazarito, as his parents call him, was born with vision problems. “When he was a baby, he would crawl around and bump into furniture. We thought he was blind,” said his mother, Marta Delgado, 42. An operation at age 5 improved his vision dramatically. The boy skipped kindergarten and excelled in grade school. Teachers noticed he had a knack for public speaking, and he quickly became pioneer leader. On June 2, 2000, Lazarito appeared before a huge crowd in Havana, demanded the return of Elián and read a poem to Mr. Castro. “Thank you for your heart,” he said. Something about the boy caught Mr. Castro’s attention. And after the event, his aides whisked the pioneer and his parents off to a five-hour private meeting with the president. Lazarito’s parents say they were so stunned to be sitting alongside Mr. Castro that they could hardly speak. But their son was completely at ease and spoke to the Cuban leader about issues as diverse as the Big Bang theory, the ozone layer and global warming. At one point, Mr. Castro put his hand on the child’s head. The same goes for a book that Mr. Castro signed. It’s encased in plastic, and Lazarito won’t let anyone open it. “He’s obsessed with Fidel Castro,” his mother said. Whether all this is good for Lazarito is a question she doesn’t even consider. She and her husband, Lázaro, 41, a taxi driver, say the revolution has made Cuba a place of justice and social equality, free schooling and health care. They are grateful for that. And like their son, they worship their commander in chief. In recent months, Mr. Castro and his pint-sized mentors have been lashing out at the Bush administration’s tightening of economic sanctions against Cuba. His speeches are so well written that some Cubans are convinced that Communist Party officials help him. Lazarito knows plenty, said his mother. He’s a voracious reader, and he writes his speeches and poems without help, she said. To be sure, the pioneer has captured Mr. Castro’s attention. The two have appeared on state-run television many times, chatting, sitting together, even playing chess. That has helped turn Lazarito into a household name. But the teenager remains humble and easy-going, his mother said.